Hello… hello… it’s good to be back, it’s good to be back! So sang Liam Gallagher in his dulcet tones, back in the heady days of 1995; the year when his band were the biggest around, and the year in which Ken Shamrock ruled the roost in the UFC. As with my first piece of prose on LowKick, straight from the annals of http://mmafletch.blogspot.com, this second piece strives to correct the opinions of the misinformed, and it is centred on another MMA legend, who also honed his craft under the glare of the Rising Sun. In this case, it is because this particular fighting champion happens to originate from Japan itself… the man who I feel strongly is the #1 lightweight in the world… The Tobikan Judan, Shinya Aoki. All rise, for the Rainbow Panted one. I’ll warn you now, kids; plenty of people across the forums have heaped hatred on this man in the most vitriolic way imaginable – he ALWAYS shoves it back down their throats. And this article will explain why. Pull up a ringside seat, settle down, remove your grubby little hands from below your beltline, and place your hands on your knees like a gentleman. This topic is deserving of your utmost respect – I am here to discuss GREATNESS. Shinya Aoki has the deepest resume over the last half decade, in the ENTIRE sport of MMA. Not just at lightweight… in the sport. Insert face palm emoticon. I would bet money on Shinya defeating any fighter below welterweight in MMA, provided the fight occurred in a ring. And yes, that includes the overhyped UFC stars too. Let me explain something – the reason many of the UFC guys who would “destroy Aoki” are even IN the top 10 in the first place, is because Aoki has been knocking the former occupants of those top 10 spots out of the rankings!!! If there is another fighter in MMA with at least 9 victories over top 10 ranked opponents since 2006, please show him to me. If there is another fighter with a 15-2 divisional record at the highest level (Pride & Dream) that includes 12 top 10 ranked opponents since 2006, then please show him to me. The thought that Aoki could not potentially snap the limbs of these overhyped UFC superstars is laughable. 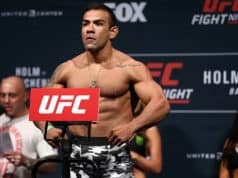 Melendez neutralising his grappling in the worst performance of Aoki’s career does not mean that Aoki cannot deal with elite, top 10 ranked guys with a boxer-wrestler style – he submitted p4p and elite lightweight Eddie Alvarez in a couple of minutes. Another powerful boxer-wrestler in the top 10, Mizuto Hirota, was pretty much EMBARRASSED by Aoki, who snapped his arm with what is colloquially known here as a “copper lock” (used by policemen) and then added insult to injury by showing him the middle finger salute whilst doing the Gremlin dance. JZ Cavalcante was Hero*s champion, p4p list member and no slouch himself – Aoki soundly decisioned him. And as for Shaolin Ribiero – ANOTHER top ranked lightweight, the master grappler Aoki even put on a striking clinic! Am I literally the only forum poster in the online MMA community with any damn sense anymore? Aoki has the potential to show up and look sloppy if his takedowns are stuffed in a wide cage a la the Gil fight… he also has the potential to embarrass elite opponents, and put them out of action with snapped limbs. Aoki can submit anyone at his weight, and don’t let the propaganda fool you… he is on a divisional tear. Here is why. Shinya Aoki currently holds a 15-2 win/loss record at lightweight, and a 9-3 ledger at welterweight. 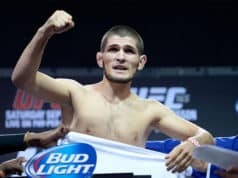 I will examine his four-year campaign at lightweight, to explain why this criminally underrated MONSTER of Mixed Martial Arts is quickly compiling what could well become the greatest resume at his weight division both in the sports short history, and for many, many years to come. After going 7-2 in Shooto’s middleweight division (welterweight in the western world) Aoki began his lightweight odyssey in 2006. The pinnacle of Mixed Martial Arts competition, Pride Fighting Championships snapped up the promising youngster, who despite being undersized at the weight, had won the Shooto middleweight (170lbs) championship, and gone the distance with Japanese MMA O.G. Hayato “Mach” Sakurai. It was a wise decision – a new star was blooded on the big stage, and Aoki won all three of his bouts in Pride. He would of course go on to become a huge star and standard-bearer for the successor of that wonderful, doomed organisation. Aoki claimed his first big scalp outside of Shooto that year, when on October 14th 2006 he defeated George Sotiropoulos, a man who is still a top ranked fighter with only one other loss in his career. This win may seem on the surface an inauspicious start to lightweight and pound-for-pound greatness, given that it is technically a DQ loss due to the illegal foul committed by George, but still… Aoki had been handsomely outgrappling the overmatched Australian, and it was more than likely he was en route to a submission victory. A triangle choke win followed some weeks later at Pride Bushido 13, before Aoki came up against another elite fighter – Joachim “Hellboy” Hansen. Now, anyone who knows MMA, in particular the Japanese scene, knows that Hellboy Hansen is a savage. This is a guy who beat prime Takanori Gomi, prime JZ Cavalcante, prime Caol Uno, prime Masakazu Imanari, prime Rumina Sato, had been the Shooto Welterweight champion, and of course was the future Dream Lightweight Grand Prix winner, and thus future Dream Lightweight champion. Hellboy is and was Japanese MMA royalty. Aoki submitted him via gogoplata in 2:24 of round 1. It is fitting that this event was called Pride: Shockwave, because the victory by gogo over one of the most feared lightweights around sent shockwaves throughout the MMA world. The then 23-year-old Aoki had arrived on the big stage with a bang, and was by now entrenched in the elite rankings. Four years later, there is no sign of him dropping out of them. Roll on 2007, and Aoki’s tear continued. His record for the year would be 3-0, his best win over Akira Kikuchi – a man who competed in the welterweight division, and held a win over future p4p list entrant and Strikeforce middleweight champion Jake Shields. In the light of 2010, a win over Shields is extremely impressive, but it was a feat he could not manage with Aoki; the Tobikan Judan narrowly, but rightly earned a decision win over the dangerous Kikuchi to defend his old Shooto middleweight championship. The death of Pride was undoubtedly responsible for the relative lack of activity for Aoki in 2007, but with the emergence of a legitimate successor org to PrideFC in Dream, the Baka Survivor more than compensated in 2008. It would be one of the deepest gauntlets that any fighter has ever run in MMA, with Aoki facing top lightweight competition in a seven-fight murderers row. First off was former K-1 Hero*s champion JZ Cavalcante, one of MMA’s then brightest stars. Illegal strikes curtailed that first fight – a no contest – but then the rematch resulted in an entertaining grappling exchange between both men… one that Aoki emerged victorious from. This also further advanced Shinya in the Dream Lightweight Grand Prix, the next round of which he successfully navigated with another first round gogoplata win over Katsuhiko Nagata. He was nearing his goal to proving his divisional dominance, and the sub-77kg fighters must have all been looking over their shoulders nervously. July 21st 2008 was that fateful day. Clouds gathered, blocking out the rays of the Rising Sun, and tumbleweeds gathered in the streets of Tokyo, Nagoya, Yokohama, Nagasaki and Hiroshima. Only in Osaka could the rumble of distant movement be heard, as the people clamoured for tickets for the hottest show in town. It was time for the object of their love and hate to claim his mantle, take his place on the throne that had awaited him since early 2006. It was Aoki’s day. He faced one of the unluckiest men in MMA, Caol Uno. They went the distance, after a predictably grappling based struggle, and despite Uno surviving a triangle choke attempt in which he came desperately close to losing, he managed only to survive in a losing effort, as all three judged deemed Aoki the winner. The tournament final in sight, Aoki had an impending encounter with either the dangerous Japanese wrestler with KO power, Tatsuya Kawajiri, or the perennial top 10 American Eddie Alvarez. Disaster struck. His fellow semi-final victor Alvarez was unable to continue to the final in the one-night event, and he was replaced by former Aoki victim Hellboy Hansen. A fired up Hellboy delivered perhaps the best display of a glittering career in J-MMA, as he avenged his earlier loss in style. Aoki suffered his first ever loss at lightweight, and his first loss by technical knockout. Hellboy was the Grand Prix winner, and thus the inaugural Dream Lightweight Champion. Despite the blip, Aoki pressed on. 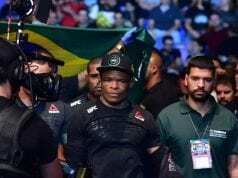 He got back to winning ways, and secured the Super-fight that fans had been denied at the Grand Prix finals, a bout with Eddie Alvarez that the World Alliance of Mixed Martial Arts saw fit as to put their inaugural lightweight championship at stake in. Removing all doubts that if the Baka Survivor was not THE best lightweight in the sport, that he was still at least in the top 3, Aoki submitted the American after only 1:32 in round 1 with a heel hook. The 25-year-old had added a new belt to his growing collection, and a new name to his ever-growing collection of scalps of elite fighters. Re-entry into the welterweight division followed, in the desire to try his luck in a second Grand Prix, and Aoki went 1-1 – defeating David Gardner in hilarious fashion after the American was foolish enough to wave at the crowd and shout “Hello Japan”, while the most dangerous Japanese submission artist had his back… and losing in a rematch to the legend, Hayato Sakurai. After this phase, Aoki was back in the saddle at lightweight. In the remainder of 2009, he would defeat FOUR top 10 ranked fighters in a row. Aoki put on a surprise striking clinic against Vitor “Shaolin” Ribiero at Dream 10, eschewing his master grappling to stifle takedowns and pepper his opponent with kicks. Following this – yet another – ranked win, The “Master of Flying Submissions” (Tobikan Judan) then he got his rubber match against Joachim “Hellboy” Hansen. The Norwegian had been out of action for the previous year since winning the belt, but was still ranked, and had one of the more impressive 19-7 win/loss records that you are going to find in MMA. Aoki removed all doubts, facing him fresh without the wear and tear of a previous bout that night as he had at the Grand Prix finals, and in this third fight he won decisively – securing an armbar with only seconds left in the fight. Shinya Aoki had avenged his sole loss at lightweight, and become the Dream Lightweight Champion. His worth was proven – he was the #1 Lightweight on the planet, with a 13-1 divisional tear to his name. Like Gomi, whose identical 13-1 tear in Pride made his name and legacy, Aoki had now capped such a streak, but one that was to continue. One thorn stuck in his side. The upstart org in Japan, Sengoku, had a top 10 ranked lightweight as its champion, a man known to all hardcores; Mizuto Hirota. A specially co-promoted show on New Years Eve 2009 may have raised the eyebrows of those concerned that one of Japan’s premier orgs must be in financial difficulties, but fight fans salivated over the prospect of a champion vs. champion bout to determine the TRUE lightweight champion in Japan. Aoki had the resume, the streak, the top 10 ranked scalps in his wins column… and Hirota claimed to have the answers; namely his powerful punches and the grappling that would supposedly neutralise Aoki’s attempts to put the fight in his realm. It would not transpire quite that way. Shortly into the fight, Aoki rode the apparently “much stronger man” (aren’t all his opponents meant to be stronger? Isn’t that why “all the UFC guys would destroy him”? Pfft, don’t get me started on that crap). Not only did Aoki ride his back, he did so with only one hand controlling the nonplussed Hirota. One hand waved to the crowd. Then, in a display of savagery, Aoki used the aforementioned “copper-lock” – or “hammer-lock” in puro-resu terms – and grotesquely bent Hirota’s arm in the wrong direction, until the elbow joint visibly snapped. Just to display his superiority over his hated rival, Aoki abandoned the Japanese code of Bushido and Samurai spirit, by breaking into the Goblin dance and flipping Hirota and the booing crowd off. Aoki seems to have the light and dark in him – a softly spoken, nerdy looking man, he can be petulant, and as he showed against Hirota, has the dark warring with the light within him… the Bushido spirit instilled in the Japanese warrior, and Kehakuma; the devilish tendencies that earned Aoki the wrath of the MMA world, and cost him his place as an instructor at the Paraestra Tokyo Gym. Regardless, the now 14-1 lightweight was untouched in the MMA world. For all the hate and empty statements thrown at him (he’d get killed in the UFC, etc) there was not one single fighter in the world who could even touch that recent resume. Aoki is to 2006-2009 what Fedor Emelianenko was to 2003-2006, what Igor Vovchanchyn was from 1995-2000, what Frank Shamrock was 1997-1999, and what Ken Shamrock was 1994-1996. Aoki is cut from that cloth. For four years, he cleaned house in his division. Next up, April 2010, came the single downfall that is used to justify the way Aoki is criminally underrated. The Melendez fight. *Never mind that Melendez was a pound-for-pound top 3 fighter in the summer of 2007. *Never mind that Melendez had a TREMENDOUS game plan for Aoki. *Never mind that Melendez gave the performance of a lifetime. *Never mind that it was Aoki’s first fight in a cage. *Never mind that Aoki never came close to being finished. Despite all this, the Melendez fight is the sole barometer that so many fans use to discredit Aoki with. And that is WRONG. All I’ll say is this – lets see the rematch in the Dream ring. 15 minutes is a LONG time to avoid getting submitted by Shinya Aoki in the smaller ring, as opposed to the huge cages used in USMMA. But regardless, Aoki soldiered on and faced his sixth top 10 ranked opponent in a row, his 12th overall in a period of less than five years, and his 9th in less than three years. It would be the dangerous Tatsuya Kawajiri, a former friend of Aoki’s, and a man that fight fans had been clamouring for for years – some say, despite the Aoki/Hirota Super-fight, and the battles between Aoki and Uno, Sakurai and others, that after the post-Pride decline of Takanori Gomi, that THIS was the real fight to decide the #1 lightweight that Japan could field. Aoki vs. Kawajiri, a dream fight for all. Fans of the Baka Survivor may have been worried that his game was scouted, given the ineffectiveness against Melendez. They need not have feared. Aoki was back to his devastating best, and the fight more resembled Aoki vs. the p4p ranked Bellator champion Eddie Alvarez; Kawajiri was taken down quickly, and submitted via a vicious heel hook. Aoki was back to best. And that is the story of Shinya Aoki’s career, from 2006, 2007, 2008, 2009, and his two fights of 2010. An amazing odyssey, especially for such a young yet cerebral fighter. Even now, Aoki is only 27-years-old, and any true fight fan – love him or hate him – must be wondering about just how much this young fella can achieve. (OK, he is five years older than me, but still – the guy is hardly old). Already boasting one of the deepest resumes in the short history of our sport, this man shows no signs of slowing down, and is just entering the age of his athletic physical prime. Do not believe “the truth”. Believe the record books, the list of fallen champions, and your own eyes. Tune into Dream, and watch FEG’s lightweight champion. I’m sure my work will be discredited, but in time what I have said will be viewed through the lens of history, with the benefit of retrospect. And I will be vindicated. It is a pleasure to watch the modern great, Shinya Aoki perform. I only wish that more people actually appreciated that pleasure, instead of being so quick to look for any means of discrediting him, just because the champions he beat did not have “UFC” emblazoned across the 6oz gloves that they were unable to knock Shinya out with. This man is the real deal, and he has the record to prove it.